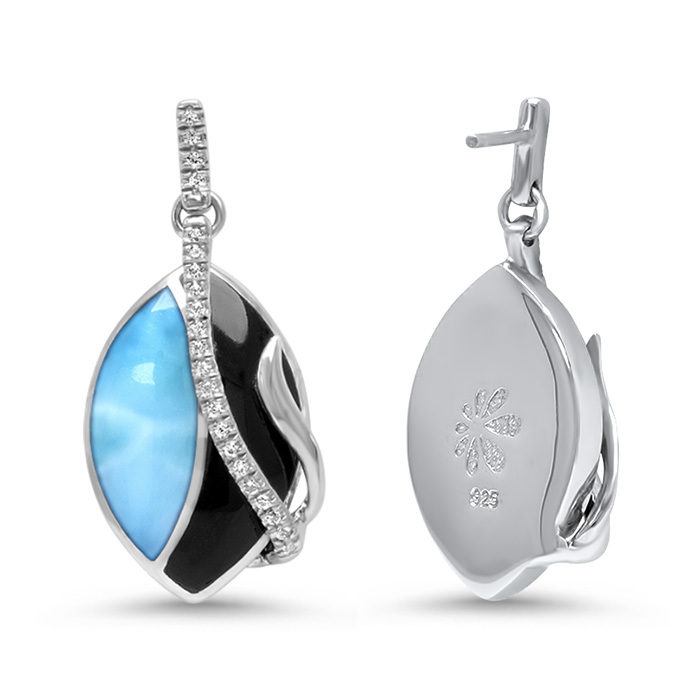 Black onyx and luminous larimar create a duet of light and dark, yin and yang, while being suspended and enwrapped by a sinuous strand of white sapphires. Simply stunning! Our Dakota earrings pair perfectly with our Dakota necklace for a perfectly put-together look. 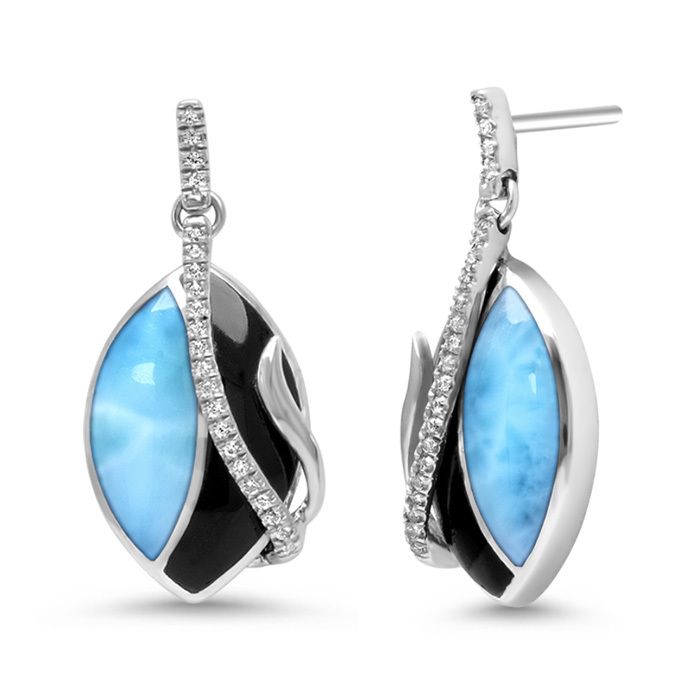 Product Details: Two 15mm larimar gemstones with black onyx, white sapphire, and oxidized sterling silver.